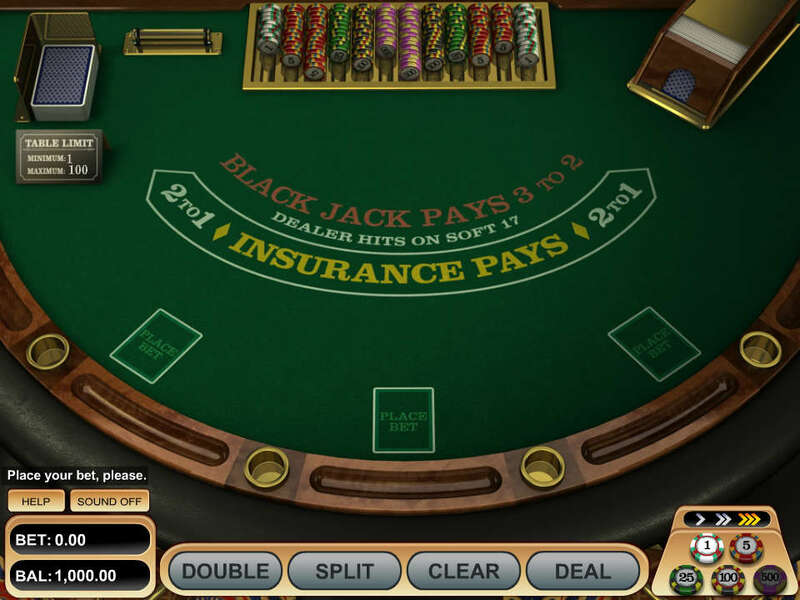 Based on traditional blackjack and using between four and six card decks, American Blackjack allows you to play up to three hands against the dealer at once. 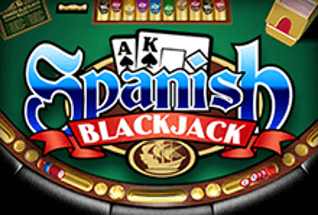 American Blackjack is very similar to the standard blackjack game you are no doubt already familiar with. 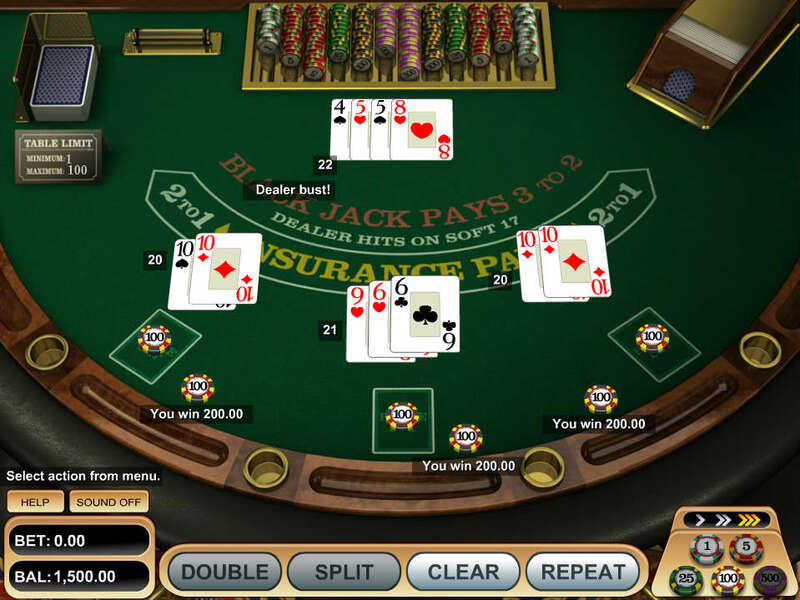 In Betsoft’s version of the game, six card decks are used and you can play up to three hands against the dealers single hand each time. This can really help your strategy as if you hit 21 on your first hand, it takes some of the pressure off the remaining hands. For example, if you hit 21 on your first hand, you might choose to be more aggressive on your remaining hands knowing you have a good chance of at least one winning hand. The house edge is an appealing 0.65% which is one of the best available, although both Single Deck Blackjack and Super 7 Blackjack can offer slightly lower house edges. Of course, the house edge is based on you playing the perfect strategy every time, if you are still learning the game then it won’t make a major difference to your success. 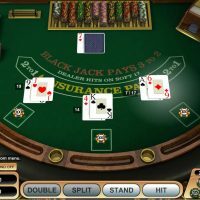 American Blackjack is almost as pure as it gets, there are only a few variations of the rules that help to improve the house edge. As well as using six card decks, the cards are shuffled after every deal. That’s not a major issue as only very serious card counters would attempt to card count with six decks in play. 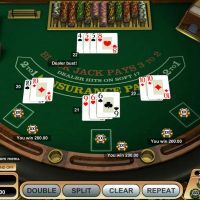 Other rules include being able split all pairs (but you can’t re-split them) and you can double down after splitting although only on totals of ten and eleven. 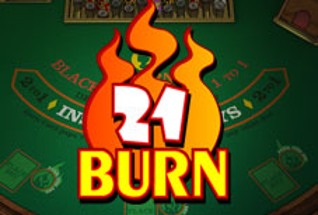 The dealer must draw to sixteen and stand on seventeen and blackjack pays 3:2. 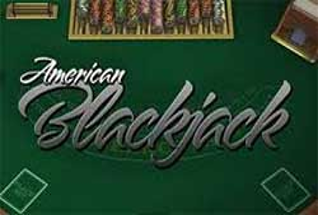 The graphics of Betsoft’s American Blackjack are reasonably good although perhaps starting to look a little dated. 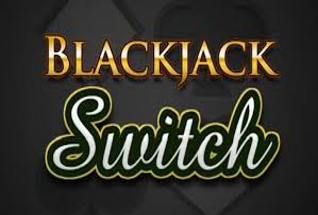 The controls are easy to access so providing you have played blackjack before, you should be able to pick up and play this game straight away. 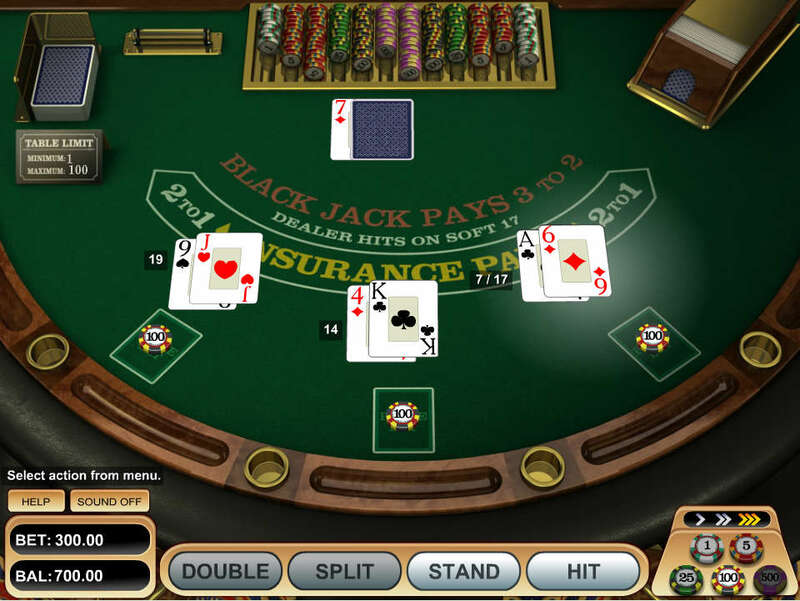 The game uses an American accent in order to announce the results of each game although this can be turned off if required. 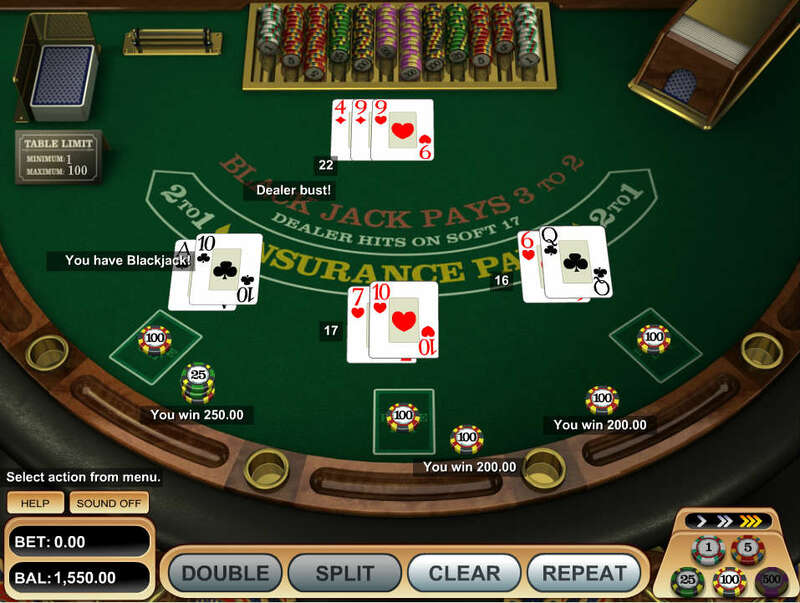 This is essentially the standard version of blackjack but with the added extra of being able to play multiple hands against the dealer at once. 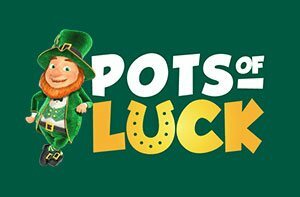 It means you’ll probably end up betting more quickly, but you don’t have to keep waiting for the next deal to play another hand. 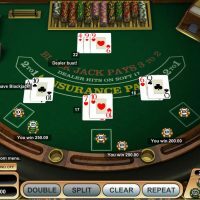 Because you can play multiple hands at once, it’s an ideal variation of blackjack for beginners to learn the game with. That’s because you can see how different hands perform against the same cards that dealers have so you pick up the rules and best strategies a little quicker. More seasoned players will also like the fast-pace of the game and the fact the house edge is relatively favourable. 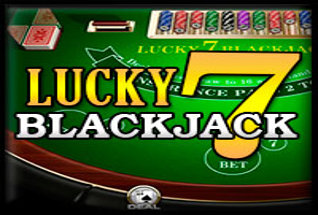 Overall then, American Blackjack is a game for players of all levels.